These are pictures of the swords I currently own. Both are Dragon Swords, with length of about 22 inches from tip to tip. This is my Bronze Dragon Sword. 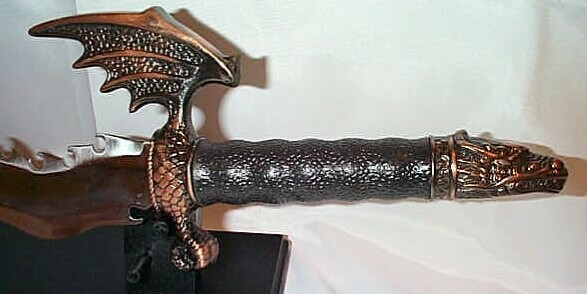 This is a close up of the handle of the Bronze Dragon Sword. This is my Gold Dragon Sword. 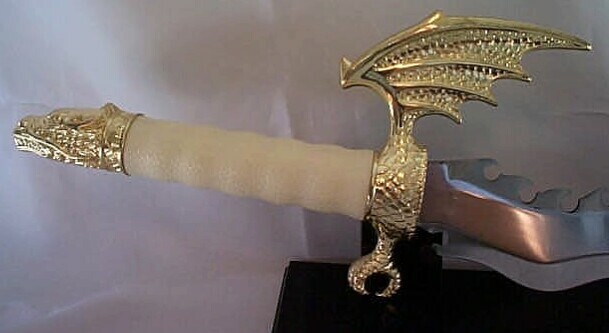 This is a close up of the handle of the Gold Dragon Sword.